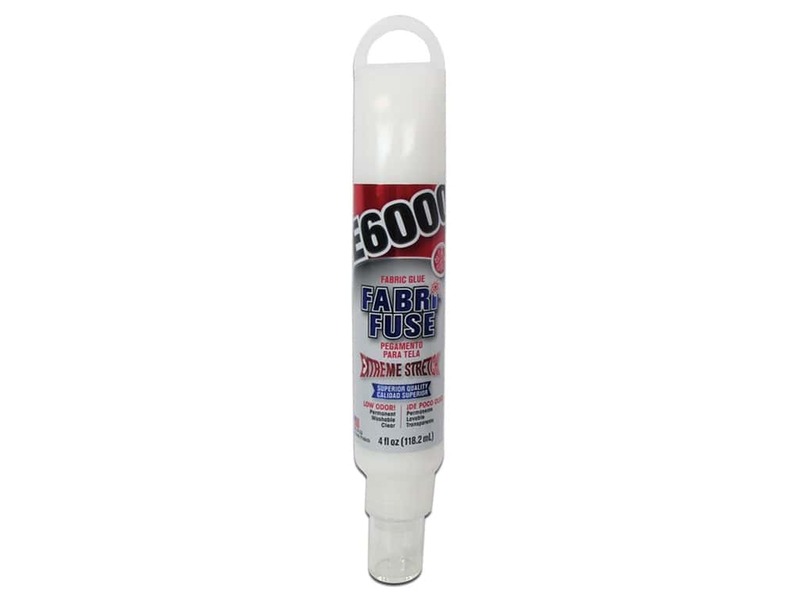 Description: Eclectic E6000 Fabri-Fuse allows exceptional adhesion on fabric to fabric or decorative items to fabric. Its extreme flexibility will allow fabric to remain flexible - even after washing and can be sewn through once dry! Adhere appliques, patches, trims, lace, ribbon and decorative accents. Works great on fabric, felt, yarn, metal, wood, glass, ceramic, Styrofoam, vinyl, rubber and much more! Low odor, permanent, washable and dries clear. 4 oz.